Draw a crowd when you give 'em a big show! 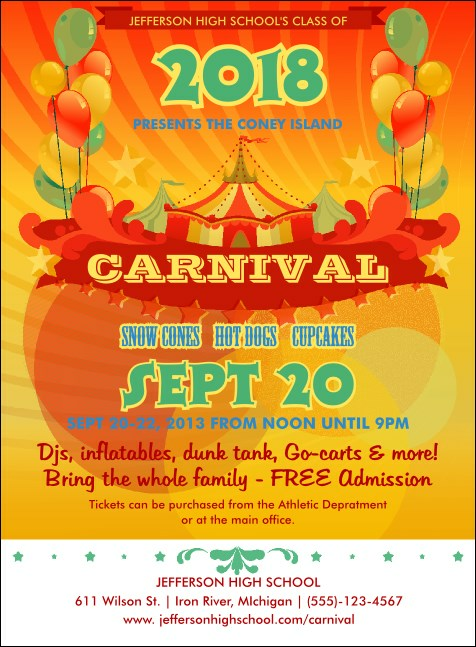 You want to get the attention of your potential attendees, and the Carnival Invitation will do the trick. When this invitation arrives in the mail, it's sure to find a prominent place. Artfully rendered with a big top, balloons, and stars, this invitation template has space for all of your event information, and will bring nostalgia to anyone who receives it. You're invited to browse TicketPrinting.com's online gallery.